My name is Brandon. I am an amature wood worker and I am new to the KOC. I have been using Kreg jigs and tools for years, and love them. I just recently completed a large workshop space where I can explore my woodworking interests. Now I am trying to build out the workbenches and assembly tables for the space. 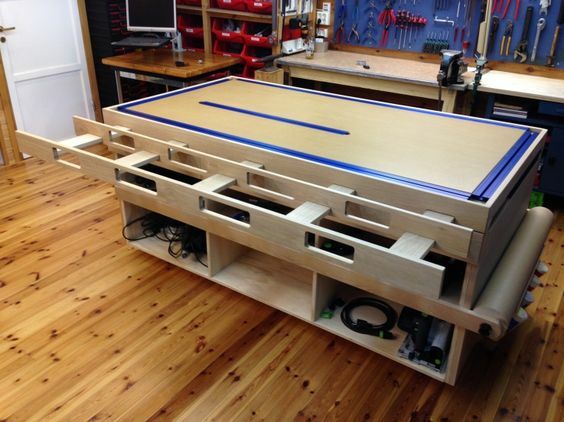 I stumbled across a project on this site for a clamping table that I absolutely loved but it looks like it has been taken down. It used to be hosted on this site but it seems to have disappeared. but it says that it isn't there anymore. Can anyone help me. I am trying to find the owner to see if plans are available for the bench. I would love to build it. Andy help would be greatly appreciated. Since it has been deleted from here, Pinterest may be your friend. You need to scroll down near the end of that page to see some more details. BTW it is not my page either. to start looking for the rest of it. It was just posted on our free project plan website, buildsomething.com, and we wanted to let you know! While not design documents, this site is the guy who built it and there are extensive diagrams and pictures during the build. That is awesome. That is just what I needed. I should be able to figure it out from this. Thanks!